The third in a series of exhibitions at BWI Airport is now on view, and once again, I am one of seven Maryland artists with work on display. 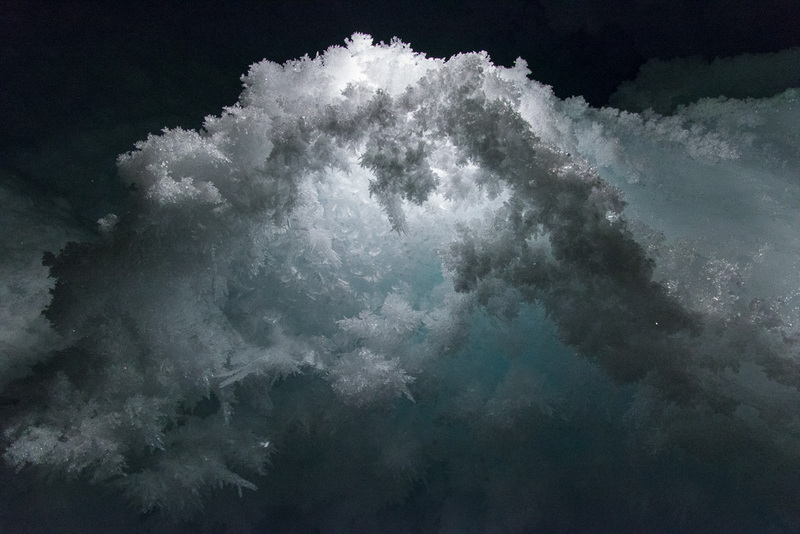 Fractal Arch, the photograph from Antarctica's Erebus Ice Tongue cave shown above, will be in the D/E Corridor, enlarged to seven by ten feet. If you'd like to see it, too, on Tuesday, February 13th there will a reception with refreshments hosted by First Lady Yumi Hogan and the airport's executive director Ricky Smith. There will be a viewing of the exhibition, which is past TSA security from 3:15 to 4:00 p.m., followed by a reception from 4:00 to 6:00 p.m. in the outer lobby, where there will be other exhibits. Bring your ID if you want to go to the viewing. Parking in the hourly lot will be validated. RSVP by February 8 to 410-859-7621 or bwioccr@bwiairport.com. Provide your full name and birth date when you RSVP and they will have a gate pass ready for you.